This peak is found on page 283. 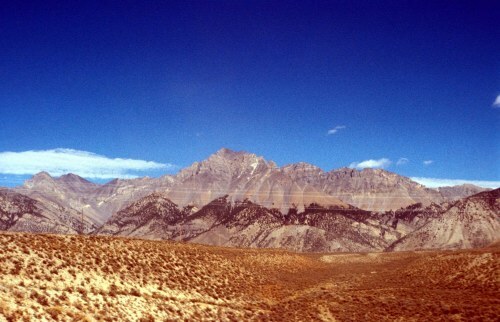 Lost River Mountain is located in the Lost River Mountain Range in the Challis National Forest. 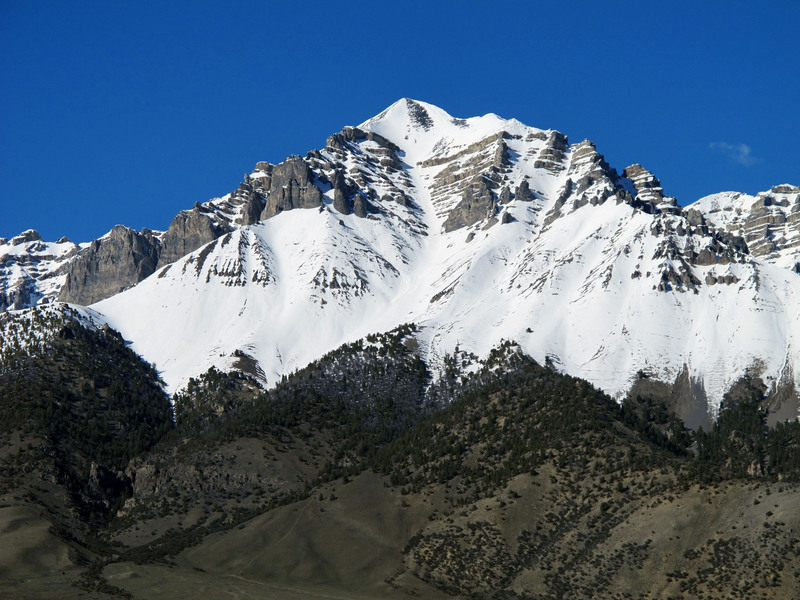 One of the nine Idaho 12ers, Lost River Mountain is the 6th tallest Idaho peak. 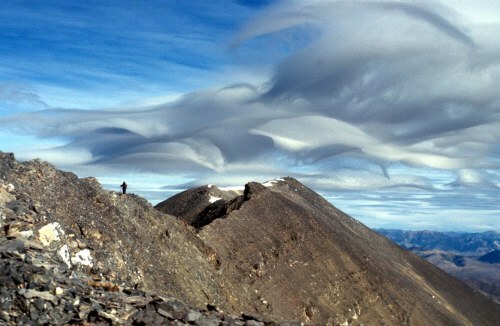 Its “Super Gully” is the most distinctive feature of the mountain and of any feature found on the 12ers, with the possible exception of the colorful and rugged Chicken Out Ridge on Mount Borah. 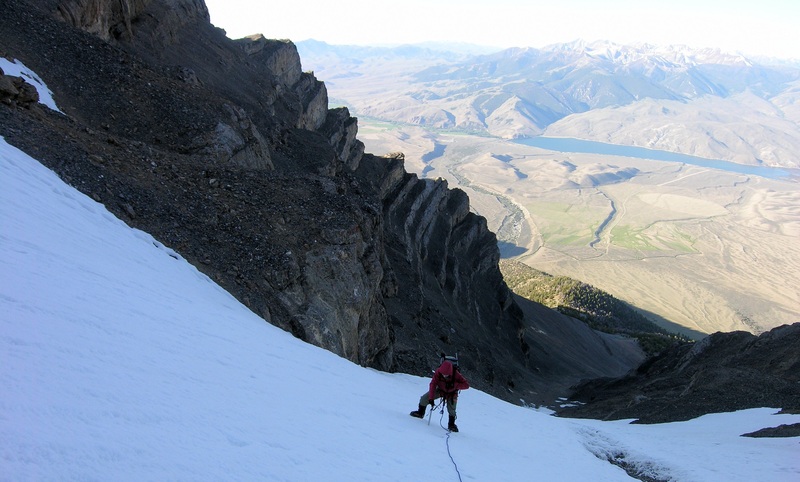 While the vast majority of climbers summit Lost River Mountain via the Super Gully, other routes are available. Super Gully is known for its rockfall and helmets are a necessity. 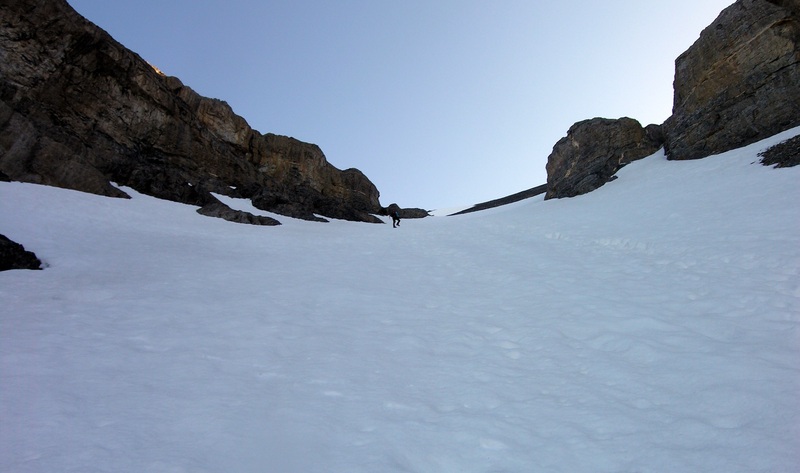 Most successful summits have been when there was snow still in the gully. 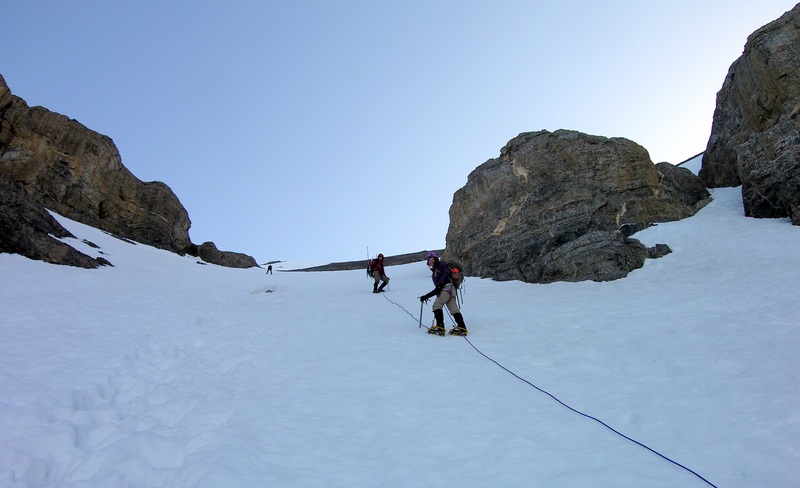 Thus a helmet, crampons, axe (and the ability to use it) and a rope may all be necessary. 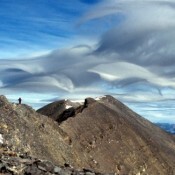 In recent years, this peak has become a favorite of ski mountaineers. Update on the Northwest Gully / North Ridge Route found in the book on page 282, including additional access information for the route. The north summit of Lost River Mountain. The following information was provided by Pat Lang – Pocatello, Idaho. On October 16, 2004, a friend of mine, Henning Krebs, and I went to go up Super Gully on Lost River Mountain. From the general parking area on the Mackay side of the mountain, we wandered up through the trees and up to the point where you can see the gully structures leading up the high ridges. We crossed into the debris at the bottom of this structure and stayed right as we moved up. We climbed to the top of the gully that we were in, passing a couple of 4th class sections on white loose rock about two-thirds of the way up. Once at the top of the gully, we were cliffed-out, with our only option being a move left (north) into a tight gully that exits after 100 feet, or so, onto a small platform. After a short, quick, low 5th-class move on the left side of the platform, we found ourselves on the ridge that leads to the false summit on Lost River Mountain. 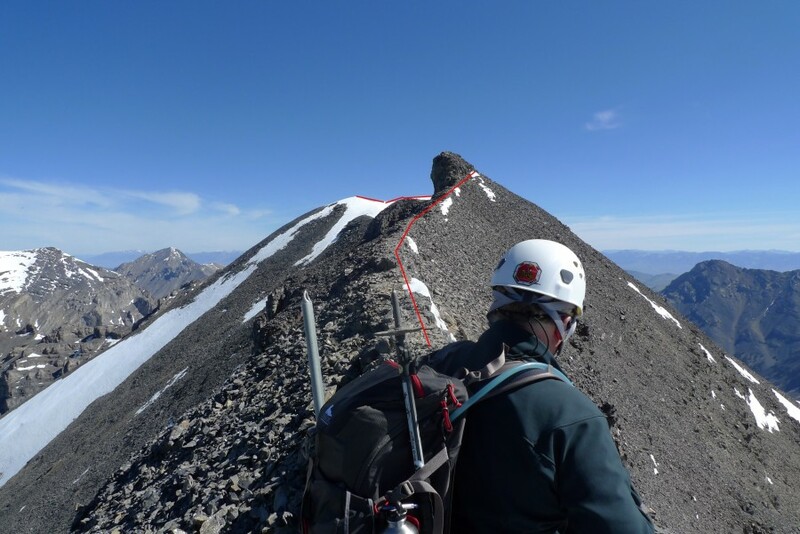 We followed the ridge to the false summit and continued onto the real summit. On our return, we descended the Super Gully. The gully we went up is the first major gully to the right of Super Gully as you look up at the mountain from the Lost River side. I believe our ascent was probably a first ascent because we saw absolutely no sign of any other human passing. At no point did we find disturbed loose rock, scratched rocks, footprints, trash, etc. 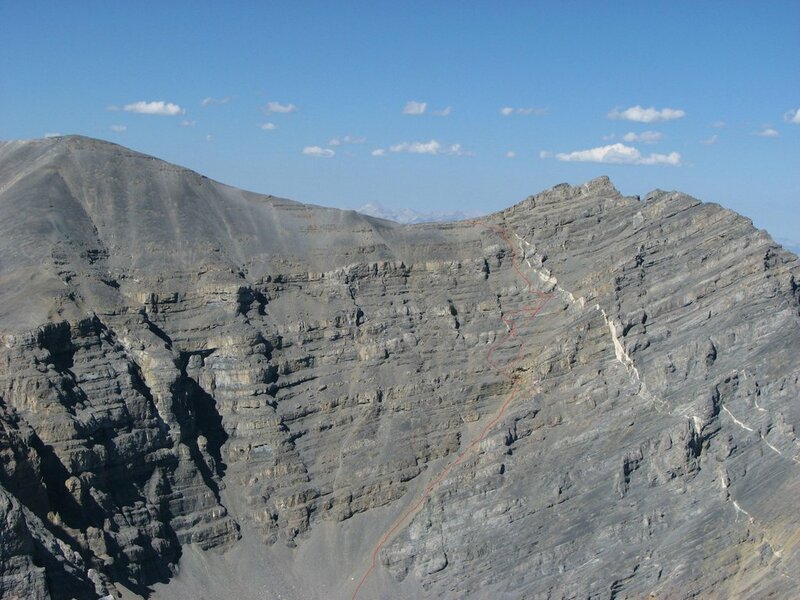 Once at the bottom of the debris (scree) field, instead of crossing the debris field left (north) to the small ridge that provides access to Super Gully proper, head due east up a rapidly narrowing gully. As you proceed up you will cross some white rock bands, which are full of loose rocks and are best crossed on the left side (4th class). After passing these bands, stay in the ever narrowing gully, heading for a small gate at the top of the gully. The last several hundred yards are extremely loose. 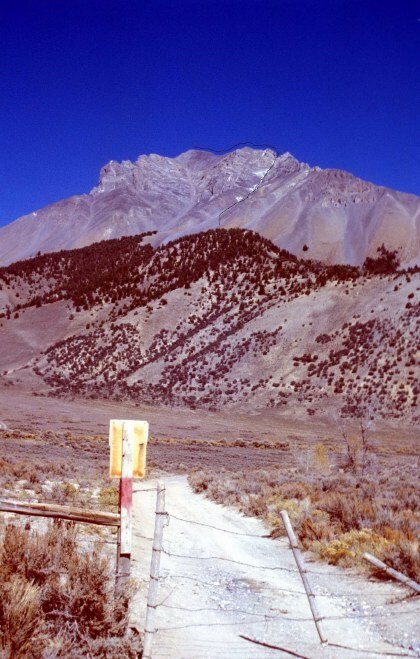 At the gate, which measures about 5 feet across, turn left (north) and scramble up a narrow rock-filled gully to a small platform having a small rock wall (7 feet) on its left side. 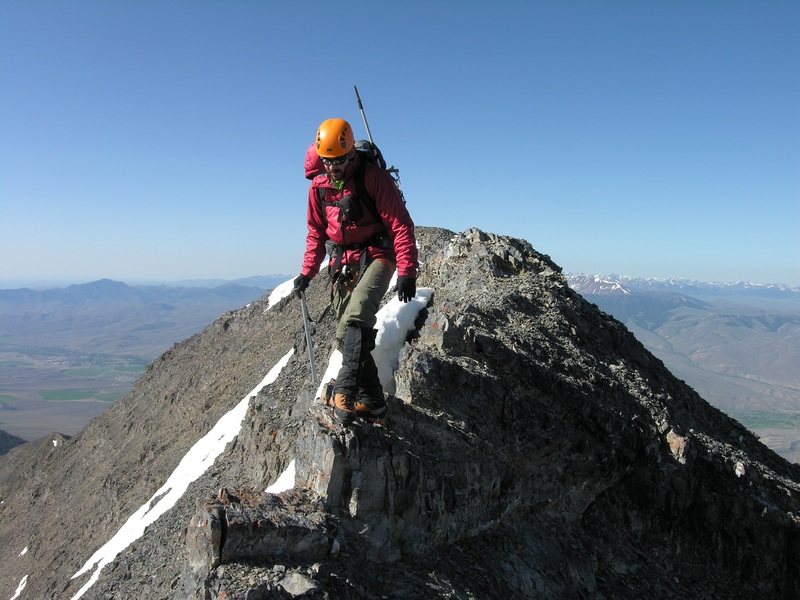 Climb over this wall (4th-5th class) to arrive onto a wide ridge that leads to a false summit of Lost River Peak. 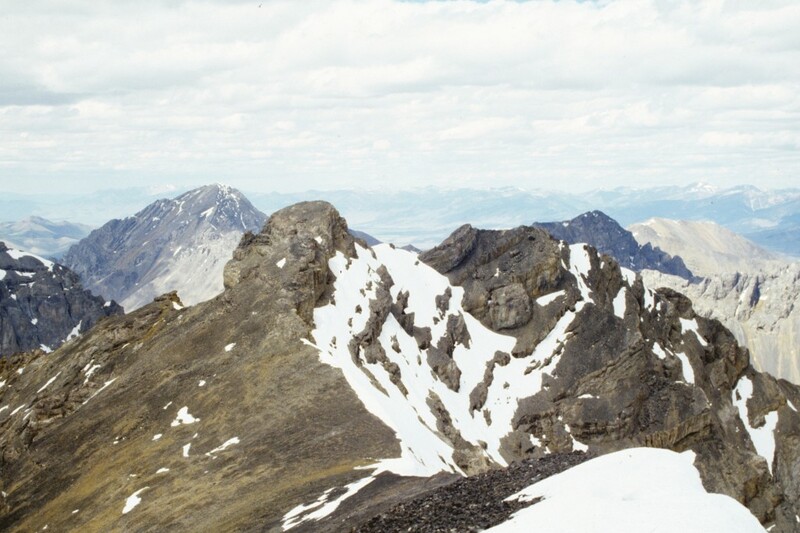 From the false summit, follow the ridge to the cairn summit of Lost River Mountain. To return, reverse your route to the false summit and then drop down its west-face scree field. After several hundred yards, you will be in the Super Gully, which now has a well worn “path” to follow. The following information was provided by Judi Steciak and Carl Hamkel. 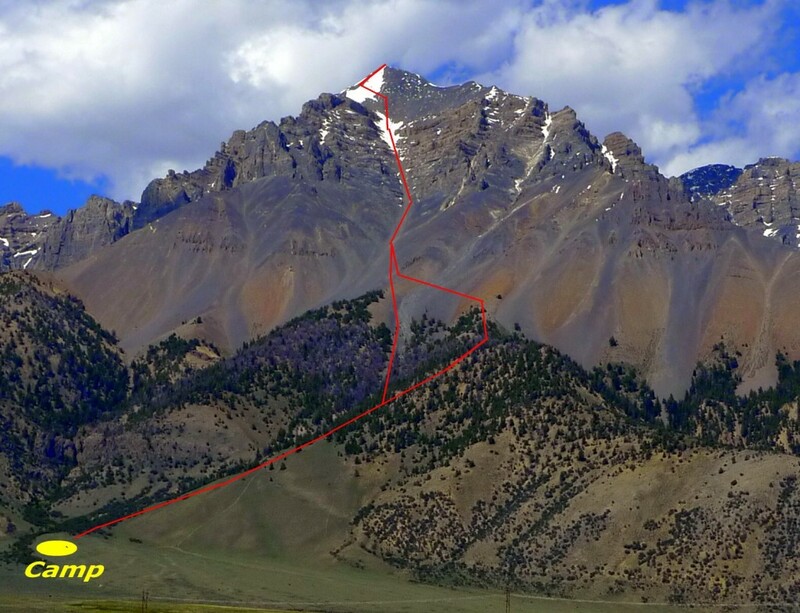 Attached is a picture and suggested edit (in bold) for the North Ridge route on Lost River Mountain. Also, we think that because of the rock quality and the exposure at the crux traverse, this route’s rating should be upgraded to Class 5. We do not use a rope on Class 3-4. However, we would not have done this route without one. (A)(6.1)(a.1) North Ridge Lost River Mountain Cross-Country Route. Where a prominent tributary of Dry Creek enters from the Lost River Mountain drainage, stay above the creek on its south side. You will cross a clearing near this confluence and may encounter an outfitter camp at its southeastern end. Say hello and walk through camp to find a trail. The trail was maintained (blazes and cut logs were present) in the past and is the least strenuous approach to the upper section of the drainage. Sometime after 2005, a group wishing to promote big game hunting bought up the grazing rights for upper Dry Creek. The sheepherder camps and herds are gone. Instead there is at least one outfitter camp in the drainage. 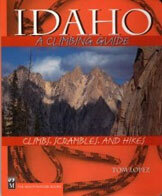 Return to the Idaho 12ers page.